You are already registered for this event! The QS Connect MBA event in Copenhagen is your opportunity to meet face-to-face with MBA admissions directors of some of the world's most renowned business schools such as Copenhagen Business School, IMD, ESCP Europe, St. Gallen, IE, Bocconi and more! Find out what an MBA and Executive MBA can do for your personal and professional development at our event and take the step towards a stronger career. Our MBA consultants will review your experience and then create together with you a fully personalised schedule of 30min meetings directly with the admissions directors. Plus you can join panel discussions, networking drinks and apply for scholarships! Attend networking drinks and mingle with other like-minded professionals. Register online by clicking on the "register" button and attach you CV.One of our MBA-Experts will be in touch to discuss your career plan and to consult you on various MBA programs.Based on your plans, our experts will match you with the business schools and out together your interview schedule for the day.Last but not least, come to our event and enjoy the seminars and personal meetings. How do I prepare for the MBA event? The best preparation is to start identifying your own interests and future career plans, e.g. do you want to study full or part-time or maybe an Executive MBA? Do you want to study in Europe or the US? Our MBA experts will then help you to find a program participating in our Copenhagen event that represents best your plans and criteria. Before the event, you should prepare a set of questions for the admissions directors. The personal meetings are your chance to receive information first hand and beyond what is available in an online research. And the participation is completely free? Yes, the registration, consultation, and participation at the QS Connect MBA event in Copenhagen are absolutely free of charge. 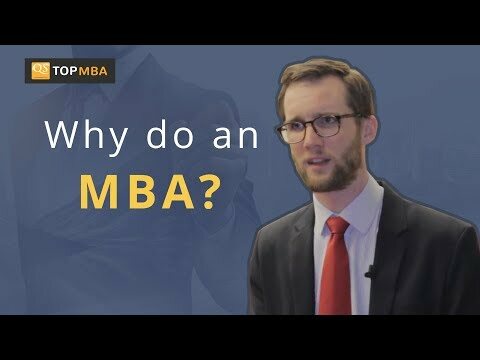 An MBA is a huge investment, and it is important for you to know that your money will be well-spent and that you find the program matching your career plans and lifestyle. Here are some articles to help illustrate the continued value of an MBA in this competitive job market. You can also read about the various types of MBA programs and the application process. Which MBA Program Type is Right for You? What Do You Need for the MBA Application? What are the benefits of the Executive MBA?